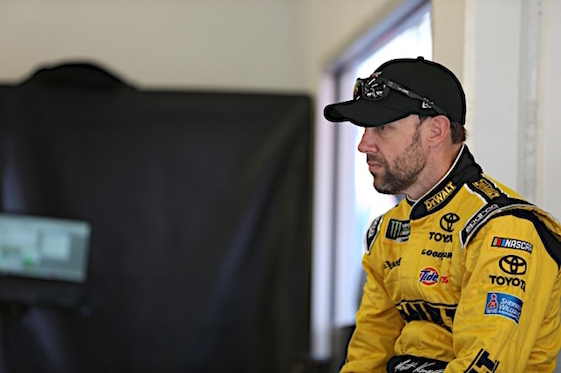 FORT WORTH, Texas – Free-agent Matt Kenseth has come to the realization he could be counting down the final three starts of his Monster Energy NASCAR Cup Series career. Kenseth, who announced this summer he would not be returning to Joe Gibbs Racing, confirmed Saturday he is not actively searching for another ride for 2018. “Yeah. That’s accurate,” said Kenseth, who will drive the No. 20 Xfinity Team USA Toyota Camry in Sunday’s AAA Texas 500. “I mean I just _ yeah that’s pretty accurate. 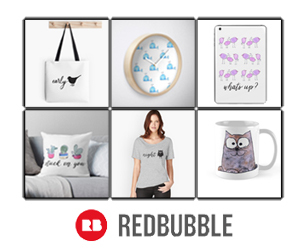 I’m not committing to anything for 2018. I’m just gonna…I don’t know, I mean the ‘retirement’ word doesn’t really make a lot of sense in this sport really because there’s…it’s not like the NFL where you get a pension if you officially retire or you do any of that stuff. Kenseth’s decision originally was reported on NBC Sports Network. JGR will field Erik Jones in the No. 20 Toyota next season, a move that will take the Cup rookie from the No. 77 Sport Clips Toyota at Furniture Row Racing. Kenseth will start 35th among 40 entries in Sunday’s 334-lap/501-miler around TMS’ high-banked/1.5-mile oval. Kenseth was 10th-fastest during Saturday afternoon’s final practice at 190.197 mph after 15 laps. The Wisconsin native will be making his 30th Cup start in Fort Worth, where he won the 2002 race. Kenseth’s lone pole at TMS was registered in November 2014. Kenseth, who finished 16th in the O’Reilly Auto Parts 500 here on April 9, has led a total of 854 laps around TMS. The 2017 season will continue next weekend at Phoenix Raceway and conclude at Homestead-Miami Speedway in two weeks. Playoff contender Denny Hamlin rode his “out-lap” to the top of the speed chart during Saturday afternoon’s final practice for the AAA Texas 500 Cup Series race. Hamlin toured TMS’ high-banked/1.5-mile oval in 28.203-seconds at 191.469 mph on the first of his 28 laps to lead a list of 39 drivers making final setup adjustments for Sunday’s 334-lap/501-miler. Hamlin was second-fast to record-setting pole-sitter Kurt Busch in the afternoon’s first session at 191.110 mph. Hamlin was forced to serve two practice penalties of 30 minutes each _ shorting his operating window in the No. 11 FedEx Office Toyota Camry. Preparing for that scenario after qualifying second to Busch on Friday, Hamlin said, “We ran race trim for a little bit longer knowing that that was going to be the case, but we’re just going to take our best shot at it. Really by the time we hit the racetrack (Saturday), the temperatures will be way higher than what they are even at any high-point (Friday). Hamlin, of Joe Gibbs Racing, was one of five drivers cracking the 200-mph barrier during qualifying on Friday afternoon at 200.617 mph. He will start Sunday’s race in Row 1 alongside Busch, who led Saturday’s first practice at 28.159-seconds and 191.768 mph on the seventh of his 29 laps in preparation for the Round of 8 Playoff race. A little over 24-hours earlier, Busch led a five-driver assault on the 200 mph barrier with a track-record lap in 26.877-seconds at 200.915 mph in his No. 41 Haas Automation/Monster Energy Ford Fusion. A free-agent who is negotiating his contract at Stewart-Haas Racing, Busch’s hot lap broke the previous record set by retired/three-time Cup Series champion Tony Stewart _ co-owner of Kurt’s car _ of 26.985-seconds/200.111 mph set in November 2014. Kurt Busch is not among the eight drivers attempting to advance into the Championship 4 round at Homestead-Miami Speedway in two weeks. Among the other Playoff contenders, Ryan Blaney was third-fast at 190.691 mph in his No. 21 Motorcraft/Quick Lane Tire & Auto Center Ford; Martin Truex Jr. was fifth at 190.617 mph in the No. 78 Bass Pro Shops/Tracker Boats Toyota; Kevin Harvick was eighth after lapping at 190.349 mph in the No. 4 Mobil 1 Ford; point-leader Kyle Busch was ninth at 190.134 mph in the No. 18 M&Ms Caramel Toyota; seven-time/reigning Cup champion Jimmie Johnson was 12th at 189.793 mph in the No. 48 Lowe’s Chevrolet SS; Chase Elliott was 14th after a lap at 189.534 mph in the No. 24 Hooters Chevy SS and Brad Keselowski was 16th at 189.407 mph in the No. 2 Wurth Ford.